Eagles in Montreal or Quebec City? Inform me about the next events for Eagles. Enroll yourself to our priority waiting list for Eagles to be alerted when new tickets are available. Filling this form doesn't engage you to any purchase. The Eagles are coming back to Montreal on November 4th, 2013, for a concert at the Bell Centre. 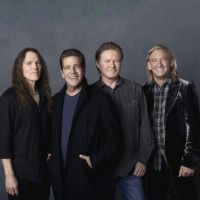 Don't miss Don Henley, Glenn Frey, Joe Walsh and Timothy B. Schmit as they bring back the old hits at the Bell Centre this November !